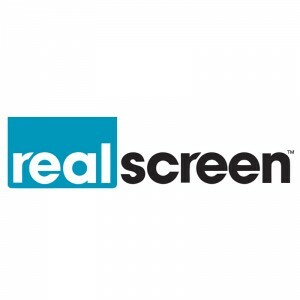 Realscreen.com (July 18, 2017) – California-based prodco Lighthearted Entertainment has appointed Paul Taylor as senior vice president of production. Taylor (pictured, above) will oversee all financial and logistical aspects of the company’s production and development slate. He joins the company after serving as VP of production for 51 Minds Entertainment where he was responsible for the day-to-day operations and production of the company’s slate including Below Deck, Steve Austen’s Broken Skull Ranchand Redneck Island. Prior to that, Taylor was VP of production at High Noon Entertainment, working on series for assorted networks including VH1, HGTV, History Channel, Food Network, TruTV, and WE tv. Lighthearted has also expanded its development team, elevating Mark Neal to VP of development. Neal joined the company in 2014 as development producer and has most recently been the director of current programming. Previously, he contributed to such programs as MTV’s Are You the One?, VH1′s Dating Naked and Twinning and Last Squad Standing for Oxygen. Furthermore, Jillian Rosen has been appointed as the company’s new director of development. Previously, she spent over a year as the manager of development at Esquire Network. Prior to that, Rosen spent several years at History working on such series as Pawn Stars,Counting Cars and Alone.